Jp. = Bishamonten, Ch. = Píshāmén. 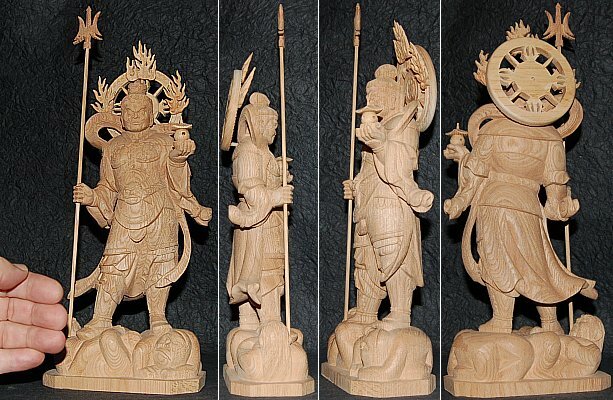 Beautifully & intricately carved statue. His moniker is "One Who is All Knowing" and "Dispenser of Wealth and Good Fortune." 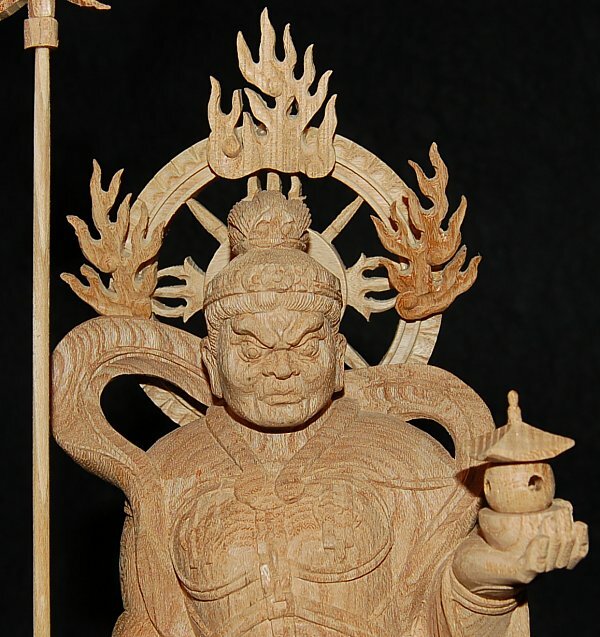 Bishamonten is also one of the Shitennō (Four Heavenly Kings) who protect the four compass directions and guard Buddhism against evil. He protects the north, and is associated with winter, black, earth, and wealth. In mainland Asia, however, he typically represents the color yellow. He stands atop a demon (Jp. = Jyaki) to symbolize his power to defeat evil.